There is nothing as attractive like a healthy dog shining coat. And keeping your dog’s coat glossy and shiny is very important for his general health and well-being. Your dog's coat is one of the best ways to gain insight into his condition, either physically or emotionally. If you ask most veterinarians what causes a dull hair and they are likely to respond to "malnutrition." So the first thing you want to do is make sure that you feed your four-legged friend a healthy diet full of real meat and protein, with minor by-products, preservatives, and grains like corn, wheat, and soy, Which can cause allergic reactions. There are also some medical problems that can affect the dog's appearance, so dull coat may be a good reason for the checkup. Parasites such as tapeworms, roundworms, and hookworms can drain your dog of key nutrients important for coat health. Infection, ticks and fleas, kidney diseases, thyroid problems, and other health problems can also be the cause, so make sure your dog has a physician’s approval. Once you know your dog is in an excellent shape, the following are few other things you can do to improve his or her coat to come out glossy and shiny. 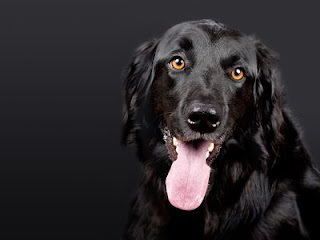 Dog Brushing: frequent brushing of your dog stimulates the fur and hair follicles, which enhance the natural production of skin oils that make the coat shiny. Endeavor to brush your dog at least once daily. Vegetable oil: mix one teaspoon to a tablespoon of vegetable oil in your dog food to maintain a healthy coat. Try sunflower, olive oil, coconut, flaxseed, and safflower, but do not give them too much-- it can lead to diarrhea. Coconut oil can also help eliminate skin conditions. Bathe regularly, but not too much: How frequent you bathe your dog depends on its length of coat, and how dirty he or she gets. Showering once a month is a good general principle- frequently enough to keep the coat clean, but not so frequent that you are stripping the coat of its essential oils. Use a moisturizing shampoo that does not irritate the skin. Also, you can consider adding a natural conditioner, then - those containing vitamin E are soothing to the skin and hair. Few owners make use of coconut milk on the dog’s coats for several minutes before bath time. Herbal remedies: You can try horsetail; it is rich in silica, which is vital in keeping a healthy and strong skin, bones and fur. Spirulina is another natural element that contains proteins, carotenoids and B vitamins. Be careful, though, not to use too much. Check with your veterinarian on dosage. Oatmeal Bath: An oatmeal bath helps soften the skin, tame itching, and also leaves the coat shiny and soft. Oatmeal contains vitamin E, so it acts as a natural softener. Simply grind a cup of oatmeal into a fine powder, fill the bowl with warm water, add the powder and stir until the water appears cloudy, and place your dog in the bathroom. Pour the water on the back and head, avoiding the eyes, massage for 15-20 minutes. Rinse and dry. Protection: Dogs without any shelter from the elements and are kept outside most of the day will have coats that change to become thicker and dry simply to provide a natural protection. You can let it be for the colder winter months, or provide additional shelter to foster a shinier coat.